Summer may be a while away, but now is a great time to start preparing your menu for when snowdrops bloom and we shed our winter layers. As soon as the heat hits, nothing is more satisfying than a cool glass of iced tea. 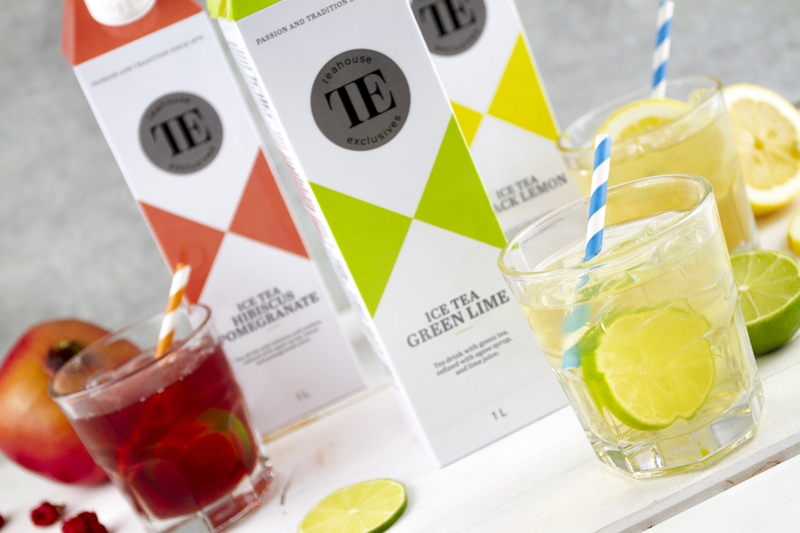 Refined with fresh ingredients (and, crucially, easy to prepare) brand new TEAHOUSE EXCLUSIVES Ice Teas offer a natural refreshment and a perfect addition to your summer menu. Available in three flavours – Green Lime, Black Lemon and Hibiscus Pomegranate – these freshly brewed teas (sweetened with Agave syrup) have no colouring or preservatives and can be enjoyed three ways: classic (over ice), warmed or customised with syrup. To learn more about and sample the TEAHOUSE EXCLUSIVES’ selection of teas, ensure to visit Market Grounds’ stand at the European Coffee Symposium 2018.